Apple has spoken out against the U.S. Department of Justice's lawsuit filed against the company earlier this week, noting that the launch of its iBookstore actually broke "Amazon's monopolistic grip on the publishing industry." Spokesman Tom Neumayr provided a comment to All things D on Friday in defense of Apple's actions. "The DOJs accusation of collusion against Apple is simply not true," he said. "The launch of the iBookstore in 2010 fostered innovation and competition, breaking Amazons monopolistic grip on the publishing industry. "Since then customers have benefited from eBooks that are more interactive and engaging. 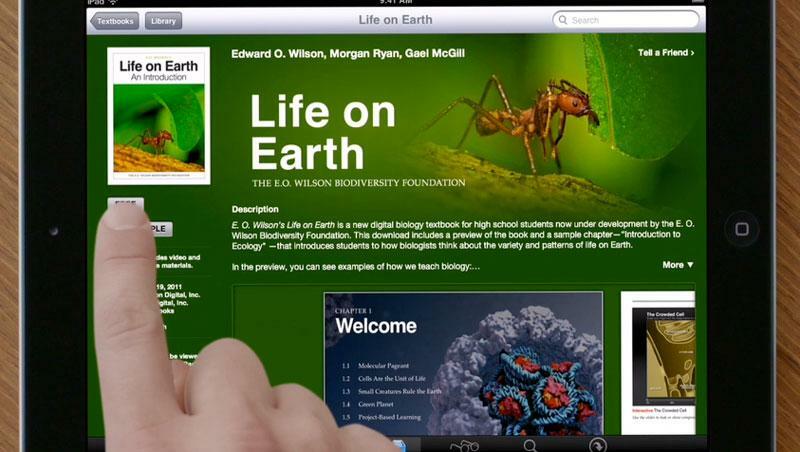 Just as weve allowed developers to set prices on the App Store, publishers set prices on the iBookstore." The Justice Department lodged its antitrust complaint against Apple and several book publishers on Wednesday after having first warned the companies of its intent to sue. The government agency alleges that Apple conspired with the publishers to enter an "agency model" for e-book sales and abandon Amazon's "wholesale model." The agency model allows the publishers to set their own prices for books, while the wholesale model let booksellers set prices. Amazon established an early lead in the e-book market with its Kindle store, but it eventually became at odds with publishers because of its willingness to sell e-books at a loss. Publishing executives reportedly feared that the discounted books would have an impact on hardback pricing. Court filings have revealed that Simon & Schuster, Hachette and HarperCollins have settled with the agency. As such, Penguin and Macmillan are the only two publishers left in the suit. Macmillan CEO John Sargent said the DoJ's terms were "too onerous" to accept. Legal experts have said the Justice Department is unlikely to win against Apple, noting that it has a better case against the publishers. According to one antitrust professor, the government will need to show Apple "had some kind of involvement in the original arrangement" to win against Apple.